"Hi fellow quilters, I would like to share the link to the free pattern I made with Timeless Treasures batiks called Flight Plan. 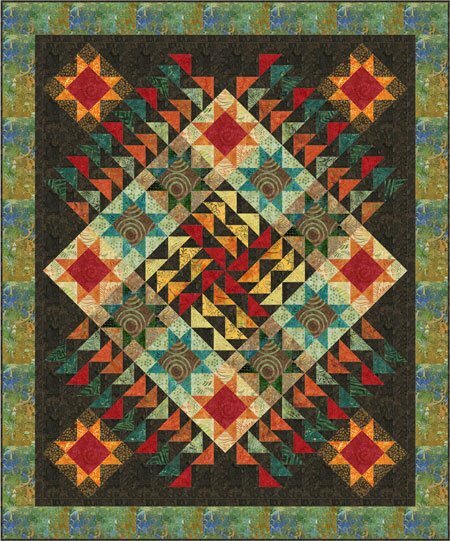 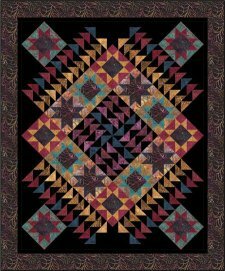 "I designed the quilt to work with Timeless Treasures’ pre-cuts called Tonga Treat six-pack which are 6″ by width of fabric strips of twenty different batik fabrics. 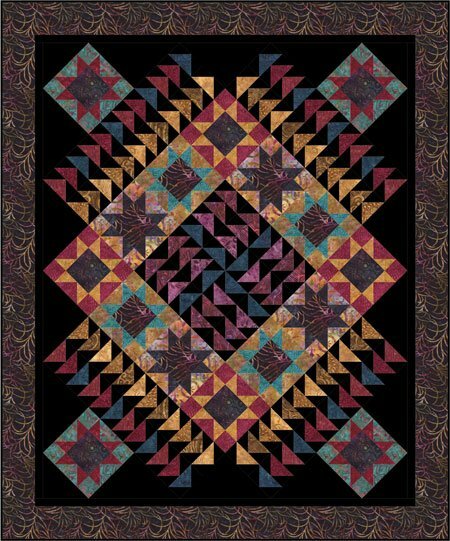 I created images in five different batik collection colorways."